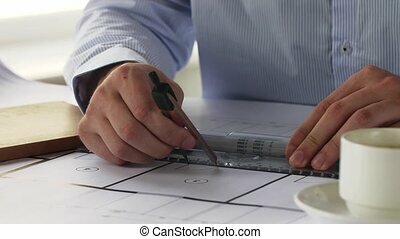 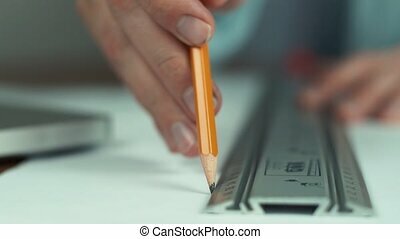 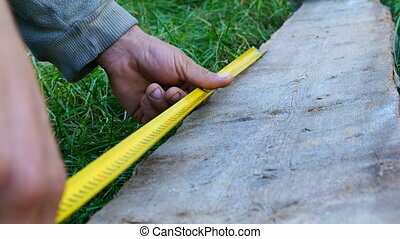 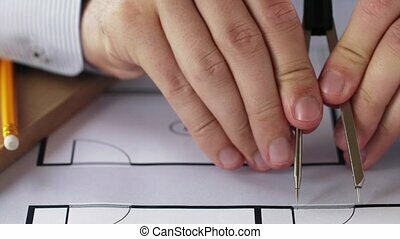 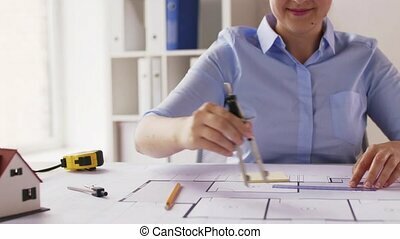 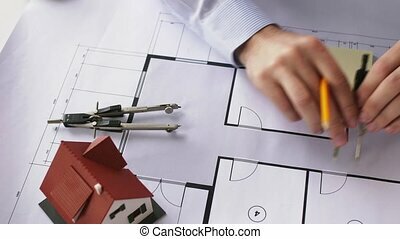 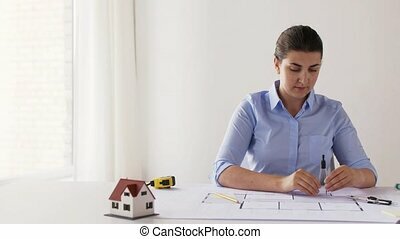 Male architect with ruler measuring blueprint. 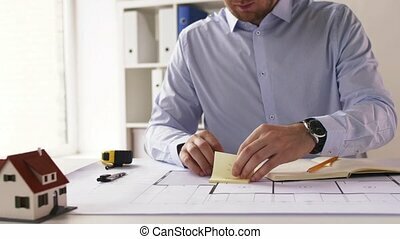 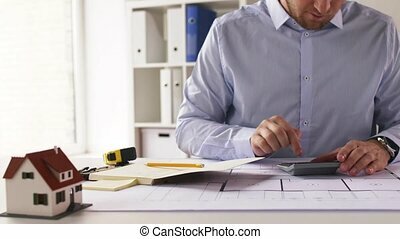 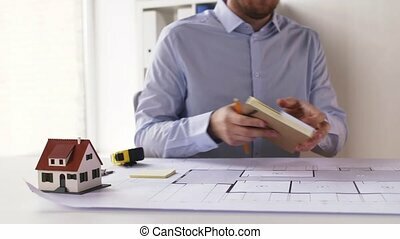 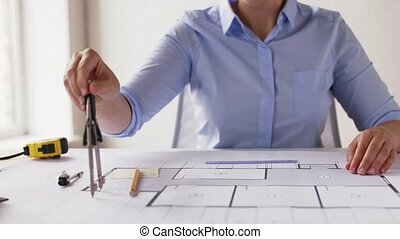 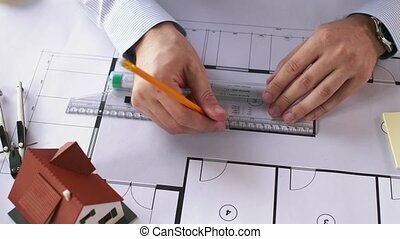 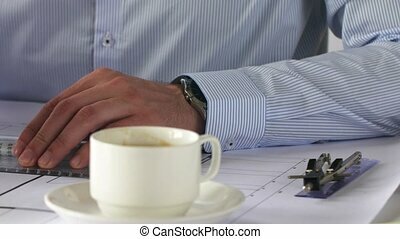 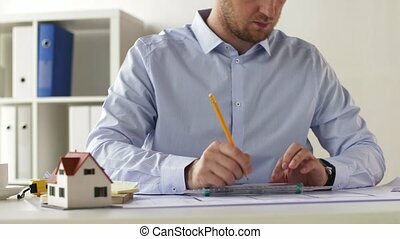 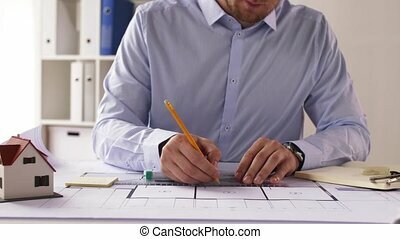 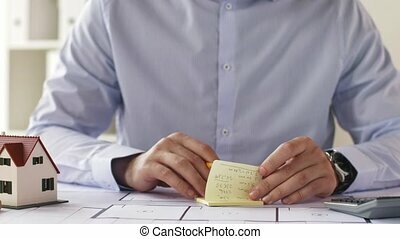 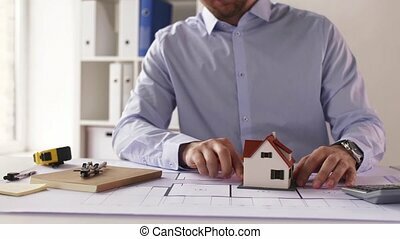 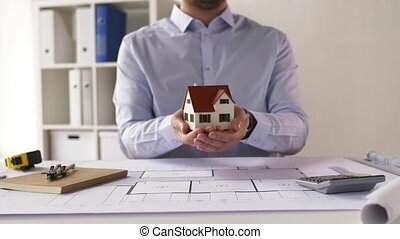 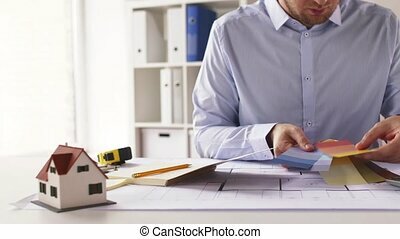 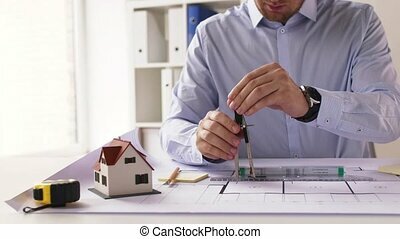 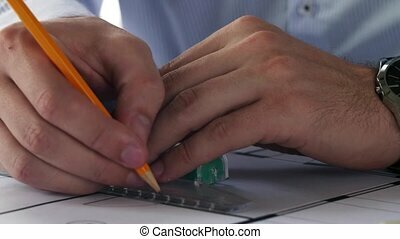 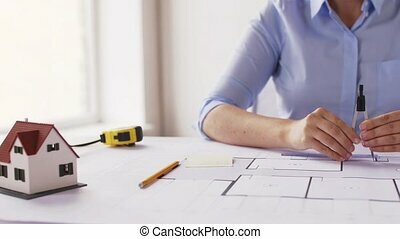 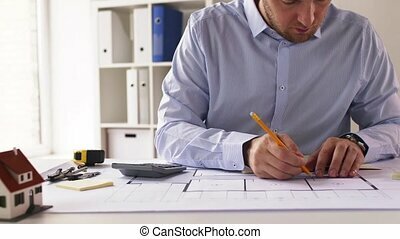 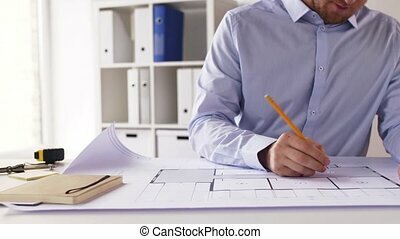 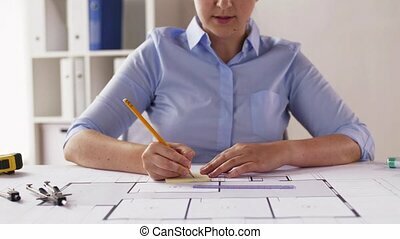 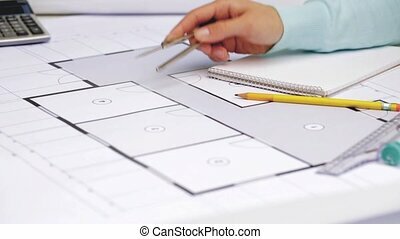 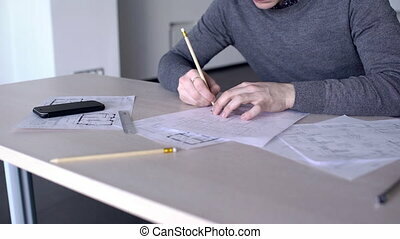 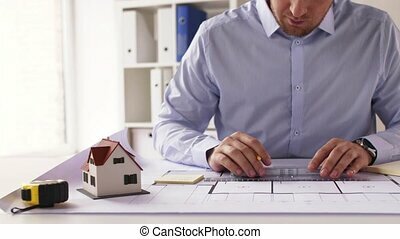 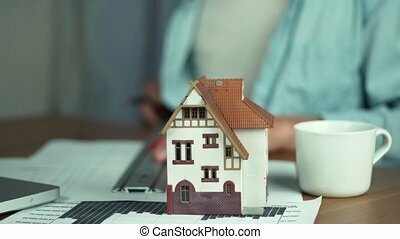 Architecture, building and construction concept - male architect with ruler measuring living house blueprint and taking notes to notebook at office. 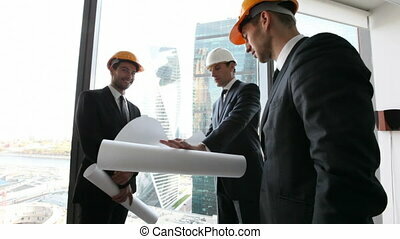 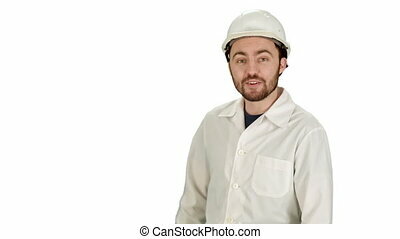 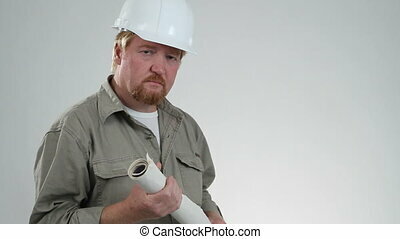 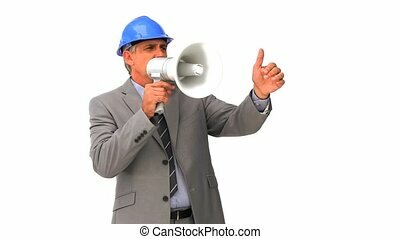 Architect wearing a hardhat, holds a set of blueprints and looks into the camera. 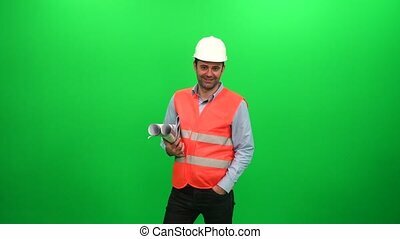 Smiling male architect with talking on camera on white background. 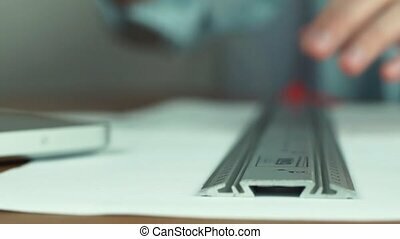 Professional shot on BMCC RAW fith high dynamic range. 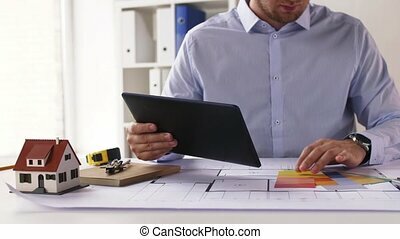 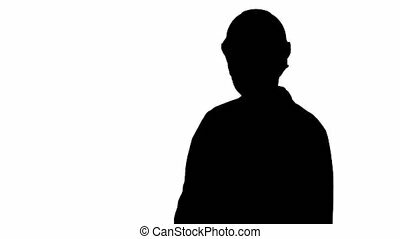 You can use it e.g in your commercial video, Electrician, Construction Builder, Industrial Engineer, architect, scientist presentation. 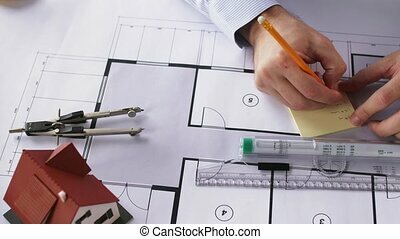 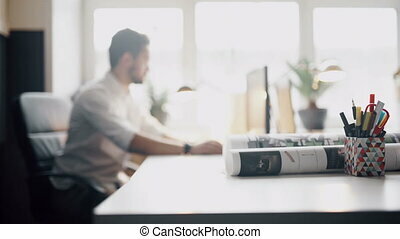 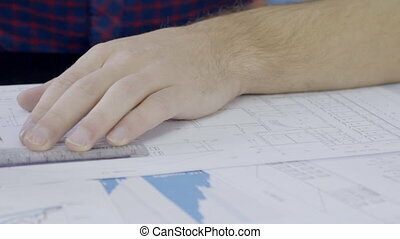 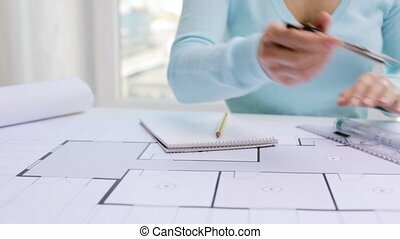 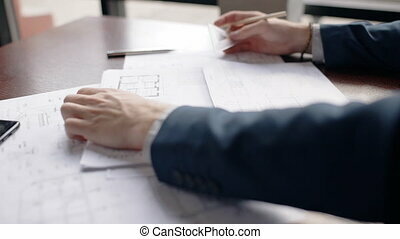 Male architect is working on a building blueprint in his office, close up. 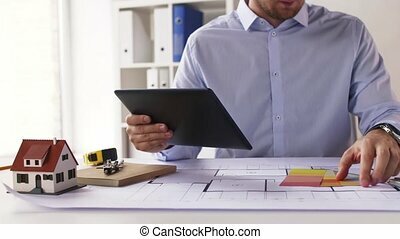 Young professional is sitting at the wooden table with brnd-new smartphone and tools on and drawing the line on the floor scheme using ruler and pencil in his hands with gplden ring on the finger.